We received the following letter of thanks for our donation in support of the plight of Middle-Eastern refugees in Hungary. A big thank you to you and your community of All Saints, Hérault, for remembering the plight of Middle-Eastern refugees here in Hungary. Your kindness is very much appreciated. I am attaching a formal thank you letter on behalf of our community as well as a copy of our most recent newsletter, the Marginalia. I wish you many blessings in your corner of the Diocese....and of God's Kingdom. 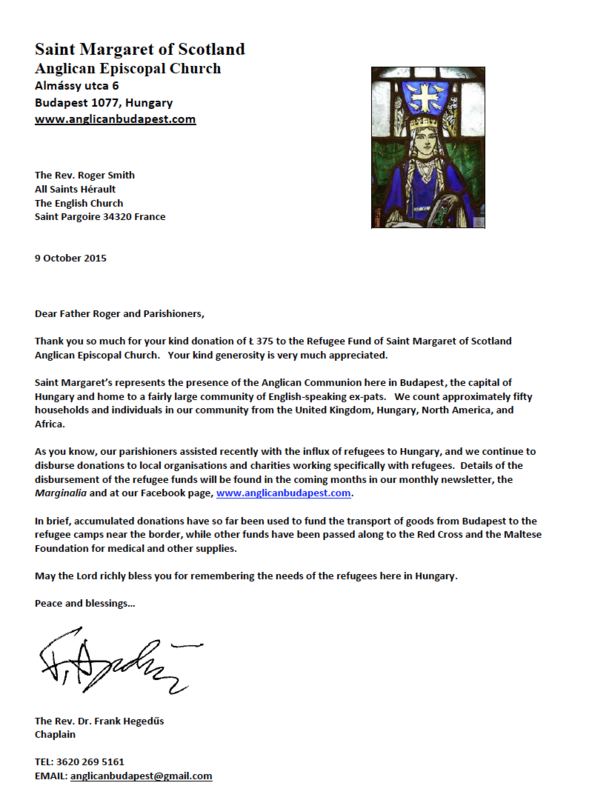 Newsletter of Saint Margaret's Budapest. Click on the PDF symbol to open the file and download a copy as required.